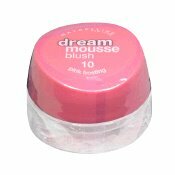 I have use Maybelline mascarra before and its also another type of not long lasting and didn’t show up well type of cosmetic. Maybe its just the Maybelline product quality. PB says: I haven’t had very good results with Maybelline Mascara too. Here’s my review on the Unstoppable mascara and XXL Mascara.